Any image taken at this particular location at San Francisco city hall is bound to be great. But add some back lighting as can be seen in the image above and you add an extra dimension. 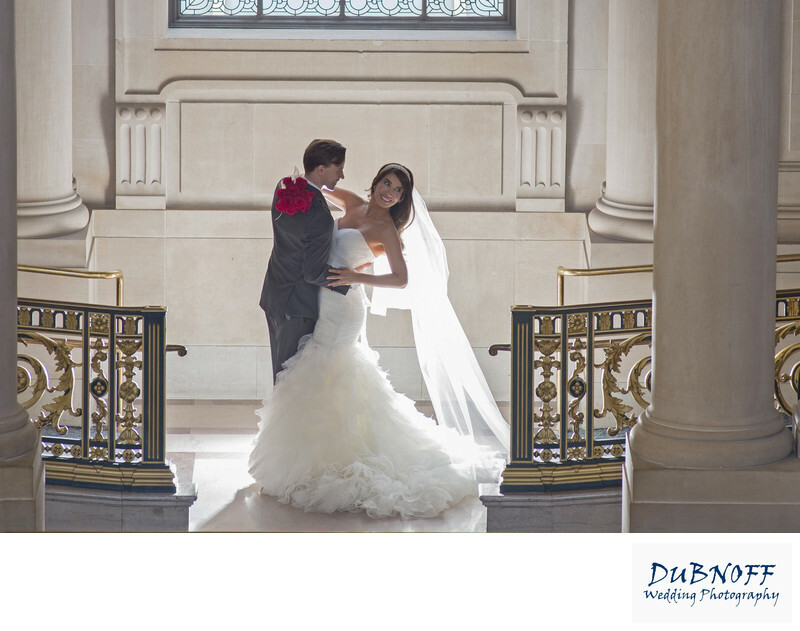 We used Slaved Flash unit placed behind the bride and groom to create this effect.